Go For Broke National Education Center, 355 E. First St. in Little Tokyo, will present “The Lasting Legacy of Fred Korematsu” on Sunday, Jan. 22, from 1 to 2:30 p.m. at the Tateuchi Democracy Forum, next door to GFBNEC’s “Defining Courage” exhibition. The Japanese American World War II incarceration experience is becoming increasingly relevant as individuals across the nation discuss the possibility of creating a Muslim registry system. This program will discuss the legality and possibility of a mass incarceration of Muslim Americans (or any other group) as discussed in the media through the legal precedent set by the Korematsu case. 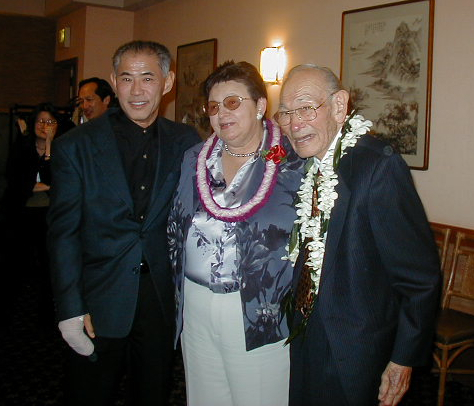 Dale Minami headed the legal team overturning the wartime trial court conviction of Fred Korematsu (1919-2005), who challenged the constitutionality of the camps. Paul Hoffman, the former legal director of the ACLU Foundation of Southern California, specializes in constitutional and civil rights litigation. Minami and Hoffman will discuss the legacy of Korematsu and what this could mean for the future. A Q&A will follow the program. Admission is free but RSVPs are required. Register online at www.eventbrite.com and bring a printed copy of your ticket or be prepared to show the ticket on your smart phone. This program may sell out. The stand-by line will be allowed in five minutes before the program begins. If you are late, your RSVP does not guarantee you a seat.